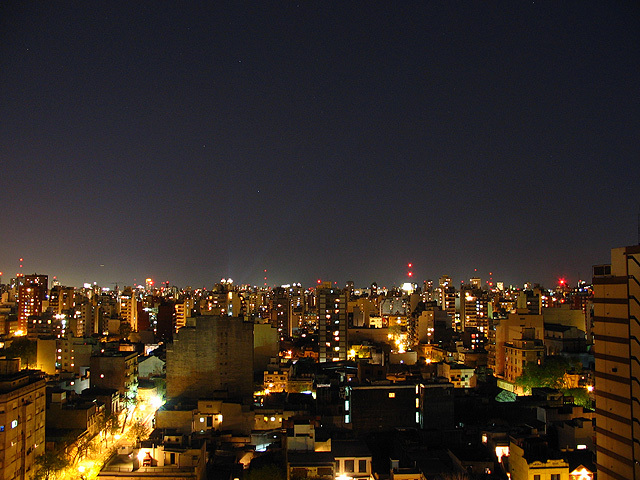 Belgrano is one of the 48 districts of Buenos Aires. It is full of art and tradition and it would be the equivalent to New York City’s upper west side. Definitely make Belgrano one of the stops on your next Argentina vacations! It is divided into five unofficial sections: Belgrano C, Belgrano R, Belgrano Bajo, Chinatown and Barrio River. It also has the second most transited cross streets in BA: Cabildo and Juramento. 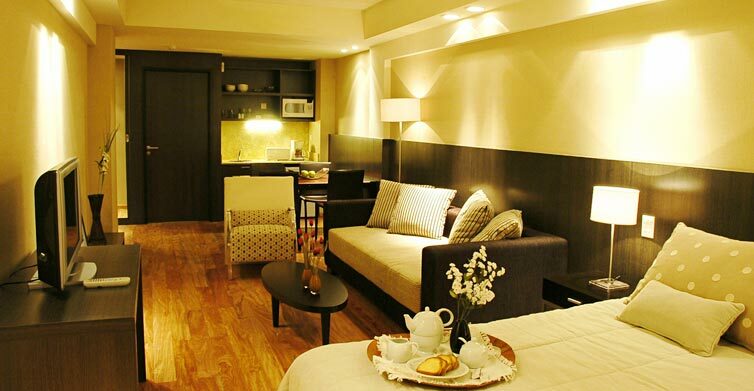 However, what makes Belgrano distinctive is its beauty and tranquility. But we will let you judge it for yourself. San Nicolás (Downtown), the most important financial and commercial district in Buenos Aires. In this area of town, you will find many touristic and cultural places, from the famous Buenos Aires obelisk, that commemorates the second establishment of the city, to the ‘La City Porteña’ or “the city”, name given to the financial district, where most of the most important international banks and financial companies have their Argentinean headquarters. The actual area was the point of first European settlement. Its north-south axis runs from Monserrat in the north to Retiro railway station in the south. Its east-west axis runs from Buenos Aires Ecological Reserve and Puerto Madero. The Obelisco is one of the defining monuments of Buenos Aires. It was inaugurated in 1936 to celebrate the 400th anniversary of the first, and unsuccessful, founding of the city by Pedro de Mendoza. (The city was later re-established in 1580.) It sits at the intersection of Corrientes and Avenida 9 de Julio, which is the heart of the city and the Theater District. The Obelisco is the focal point of the vista between Plaza de Mayo and Diagonal Norte, meant to mimic the vistas found in Paris around Place de la Concorde. A church was demolished to create the site, and on both sides, Corrientes bulges into a circle to accommodate it. An oval parklike cutout with a gentle hill along Avenida 9 de Julio surrounds it, along with bronze plaques representing the various Argentine provinces. 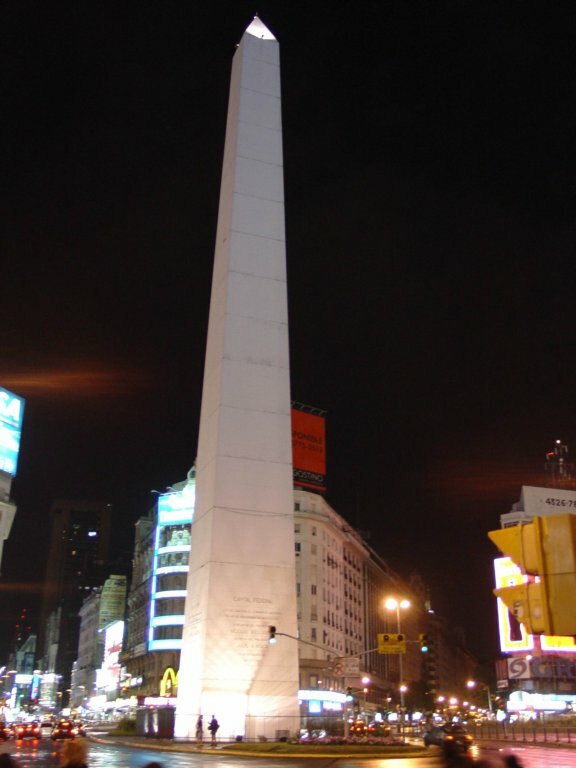 When Argentines have something to celebrate, the Obelisco is where they head. 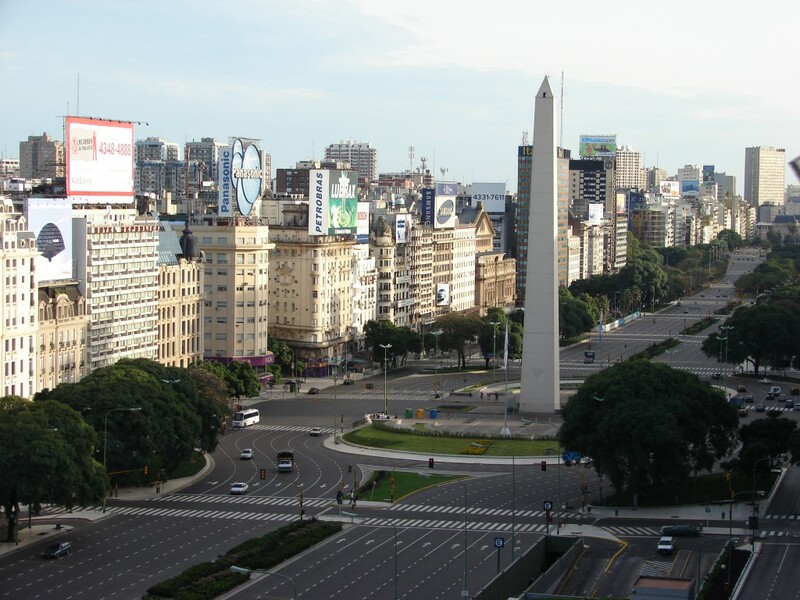 If you’re in town when Argentina wins an international event, you can be sure hundreds of people will gather around the Obelisco with flags in their hands, waving them at the cars that honk in celebration as they head past. Certainly, the Obelisco would have a great vista, but it is not a structure built as a viewing spot. Renovations near the site are ongoing, so access might be restricted during the time of your visit. As the city’s preeminent phallic symbol, it was graced with a very large condom on December 1, International AIDS Awareness Day. You will marvel at the 17th century architecture of the Manzana de las Luces and the mysterious underground tunnels that worked as secret passages. Let’s virtually visit the Don’t cry for me Argentina famous balcony and its historic neighborhood. 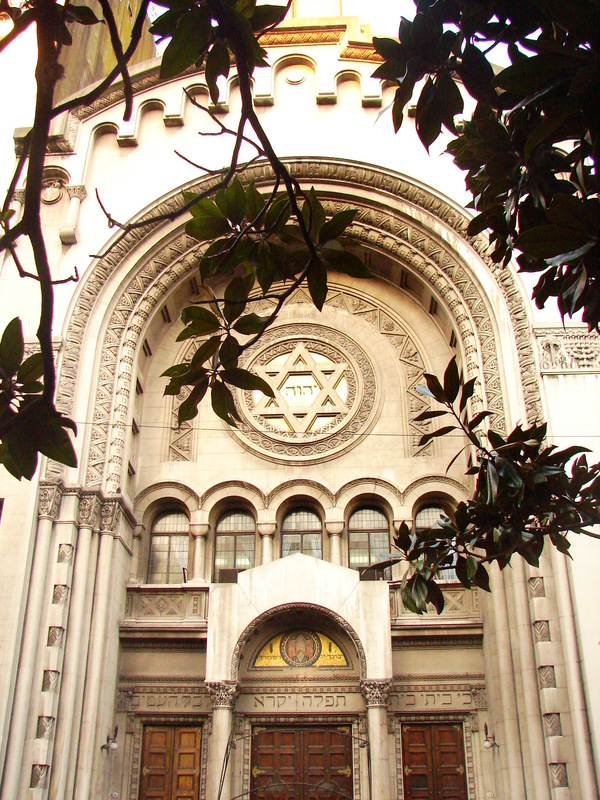 The old neighborhood of Montserrat covers the oldest part of the city and it is one of the most attractive districts for cultural tours in Buenos Aires. Montserrat’ sidewalks feature some of the most important buildings in the city, including the presidential palace (known as Casa Rosada), the colonial town hall, the Parliament and the Cathedral of Buenos Aires. All of them a must see when you travel to Buenos Aires. 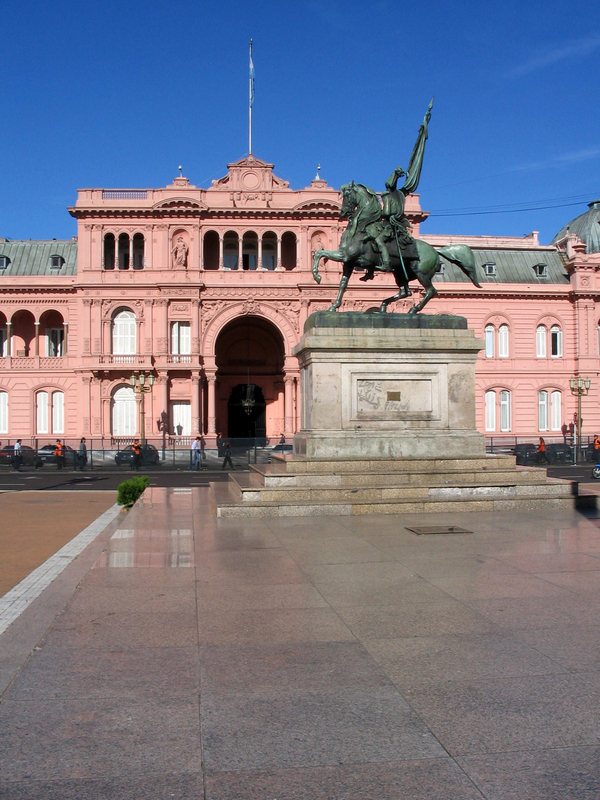 The Presidential Palace or Casa Rosada, was built under President Julio Argentino Roca in 1882. The Casa Rosada has been the center of presidential activity ever since. With the pink side facing the Plaza de Mayo, and the beige sides calling less attention from surrounding streets, it is Buenos Aires’ version of The White House. The house is full of impressive national treasures include the bust room full of marble impressions of past presidents. Tour the house and don’t miss the Escalera de Italia (Staircase of Italy), fashioned from thick beige marble in true Italian style. Look up to see the Capilla de Christo Rey, a life-size version of Christ on the cross, as you make your way through the house. 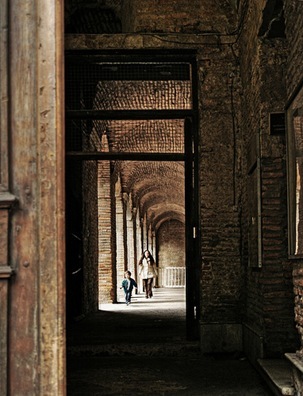 Also inside is the Museo de la Casa Rosada, which displays many presidential artifacts. On the outside, the centered high balcony became famous for presidential public addresses. Some of the most notable orations came from the Peron’s, who claimed to speak from a lower, left-hand (facing the building from the Plaza de Mayo) balcony in lieu of the stately centered, high perch in order to be closer to the people. To film the Evita movie’s most famous scene, Alan Parker made a personal request for the use of the famous balcony from which Evita addressed the huge crowds who rallied to cheer her outside Government House in Plaza de Mayo, but the request remained unanswered by Argentinian president Menem for many weeks. Parker and the producers hoped to film Madonna singing “Don’t Cry for Me Argentina” on the real Casa Rosada balcony, but they were of course also prepared to rebuilt the balcony in a film studio. Madonna provided the biggest help in obtaining the “real” balcony. She asked many time to people close to the president to be invited along with Alan Parker by President Menem, to discuss and explain the intentions of the film. Parker recalls: “Everyone told us no. I’d begged everybody. We had the American ambassador helping us and, also, the British ambassador. But we got turned down time and again. Then, one night, Madonna, Antonio Banderas, Jonathan Pryce and I got invited to meet President Carlos Saul Menem. It was surreal. He served us pizza that he insisted was the best in the whole world. Then Madonna suddenly said, “Can we cut to the chase here? Are we going to get to film on your balcony or not?” The president said, “Yes.” We were so stunned we didn’t finish our pizza. However you experience Argentina, it’s nearly impossible to get a complete picture without heading to the Casa Rosada for at least a brief afternoon in Argentina’s past. You will marvel at the 17th century architecture of the Manzana de las Luces and the mysterious underground tunnels that worked as secret passages. This is a sightseeing tour not too many tourists find out about when they travel to Buenos Aires. Speculation regarding the original use of these tunnels still remains! Its interesting history began in 1675 with the construction of the Church of San Ignacio and the Colegio de la Compañía by the Jesuit monks. Meant to be a centre for higher learning, and headquarters for Jesuit land holdings, the first medical school was also set up here. Catalinas Norte is an urban development that consists of several office buildings. It was planned in Buenos Aires in the 60’s. Many of these buildings have prismatic shapes in glass and steel. The architectural style formed by them is seen in the horizon as an example of a modern and growing Buenos Aires.